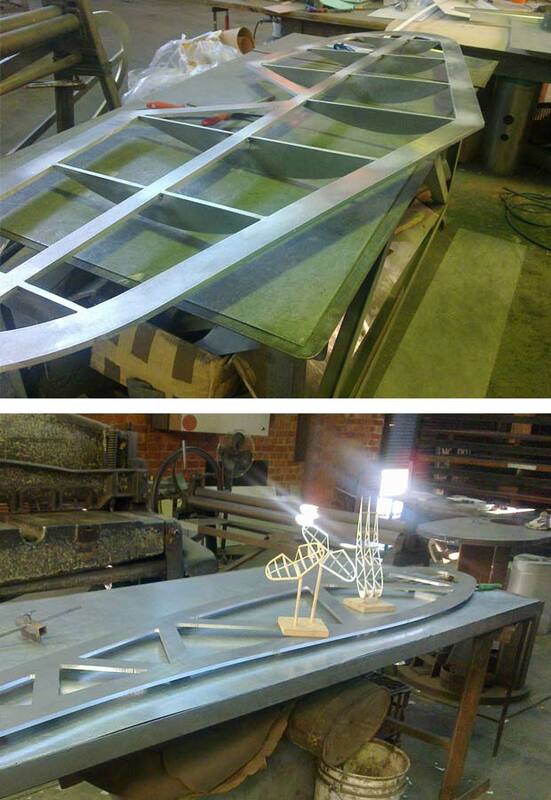 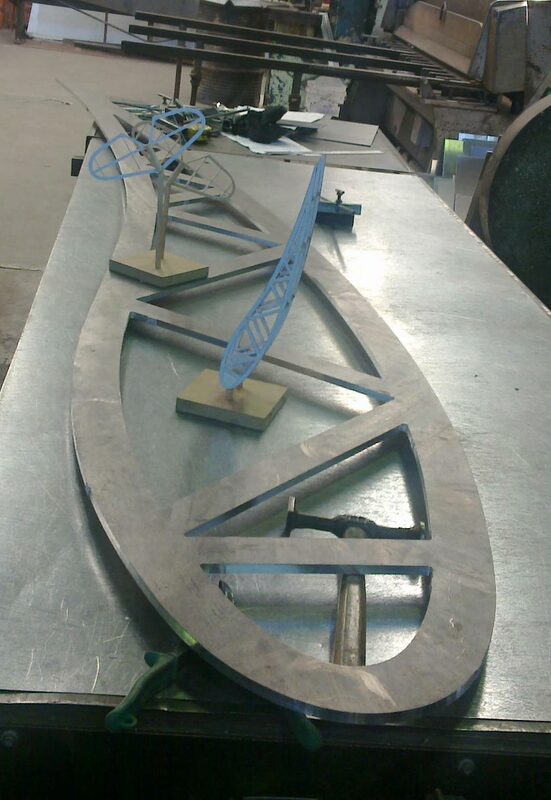 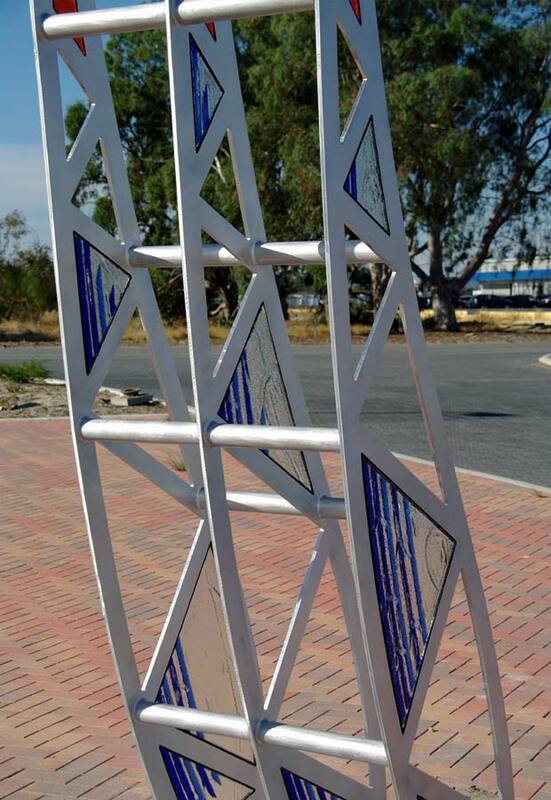 Designed by Ian Dixon in collaboration with Mark Datodi. 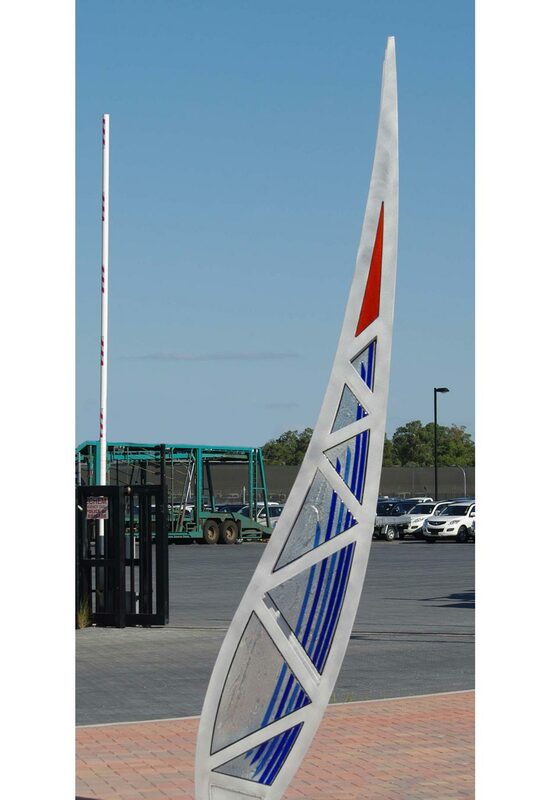 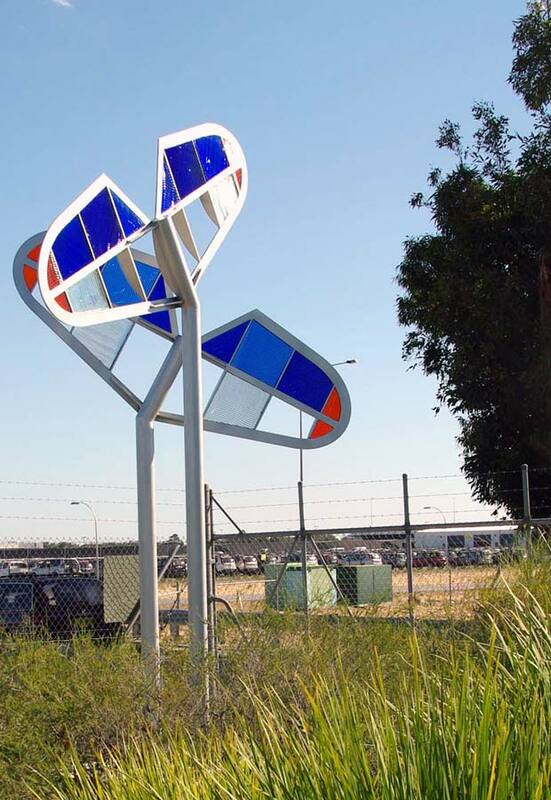 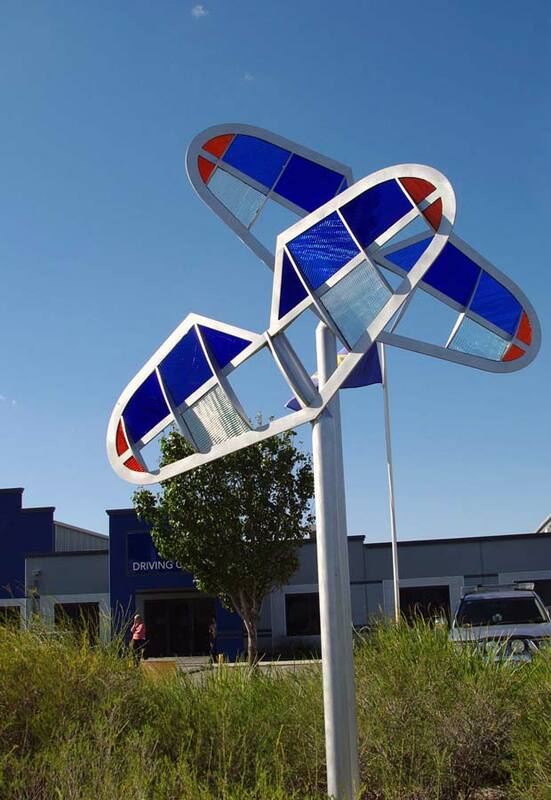 These sculptures are located on Grogan Road, Perth Airport. 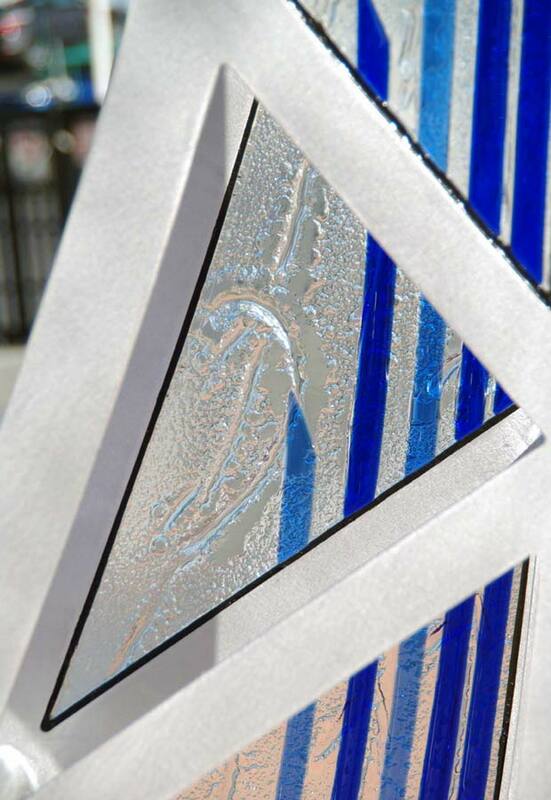 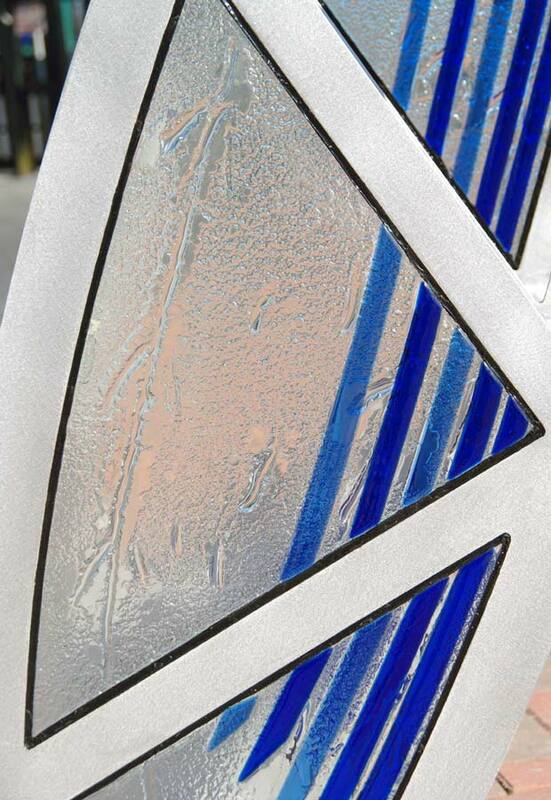 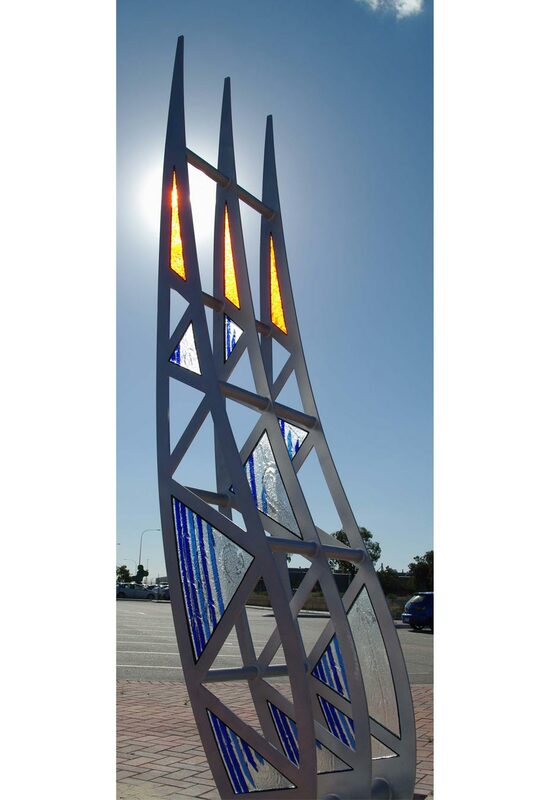 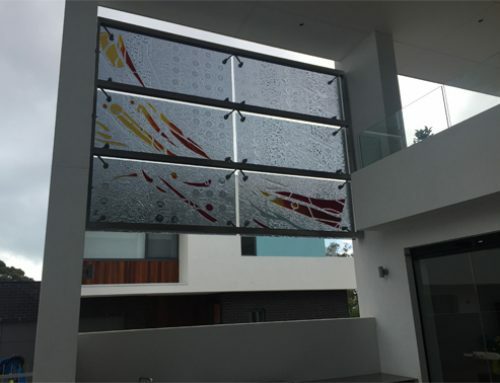 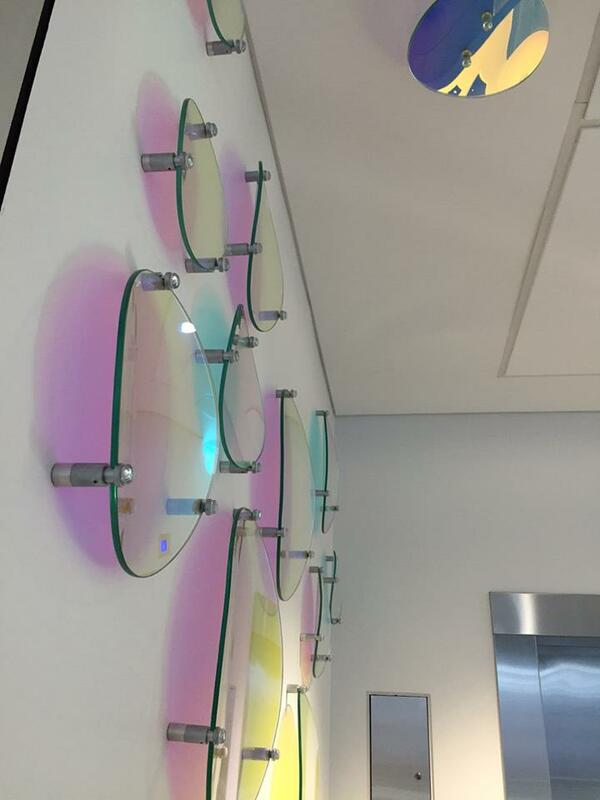 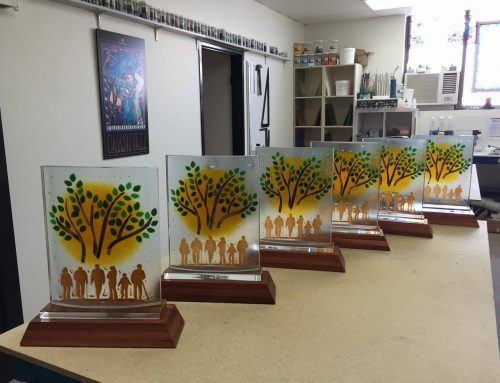 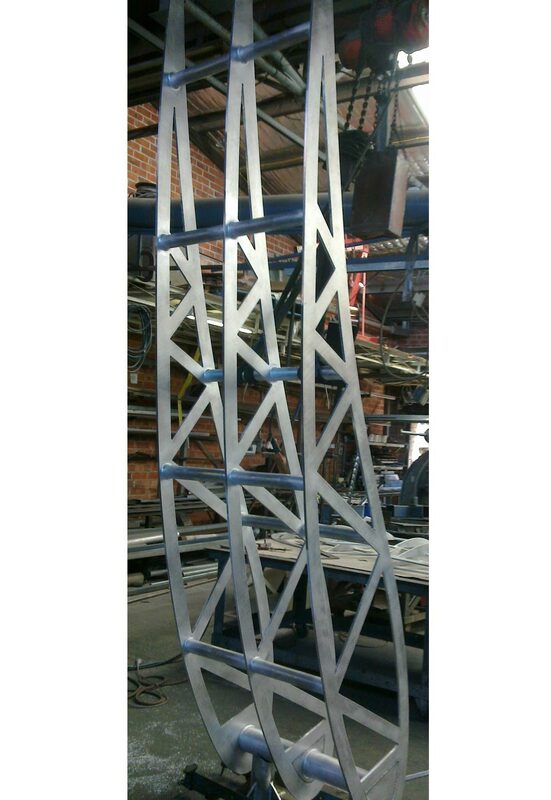 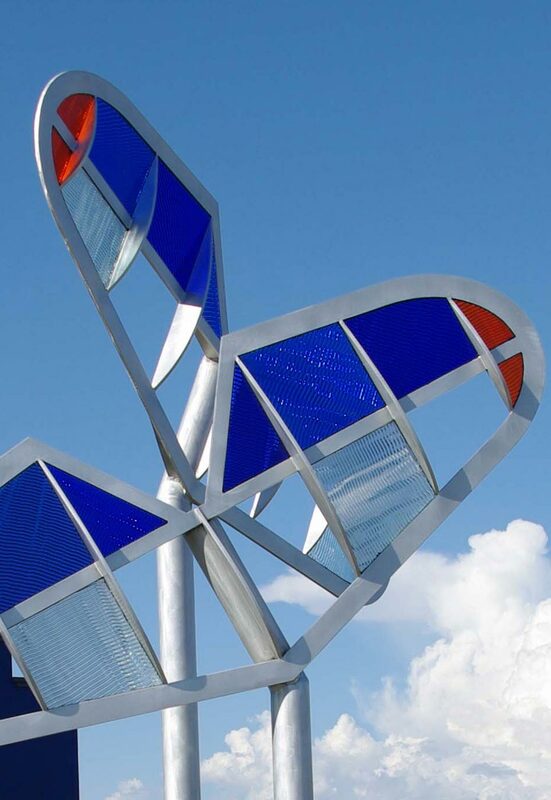 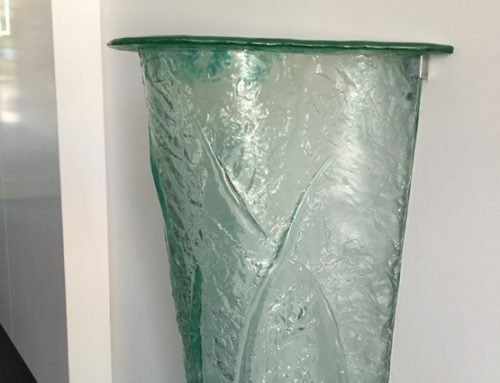 The sculpture is made from aluminium and features laminated coloured glass inserts.